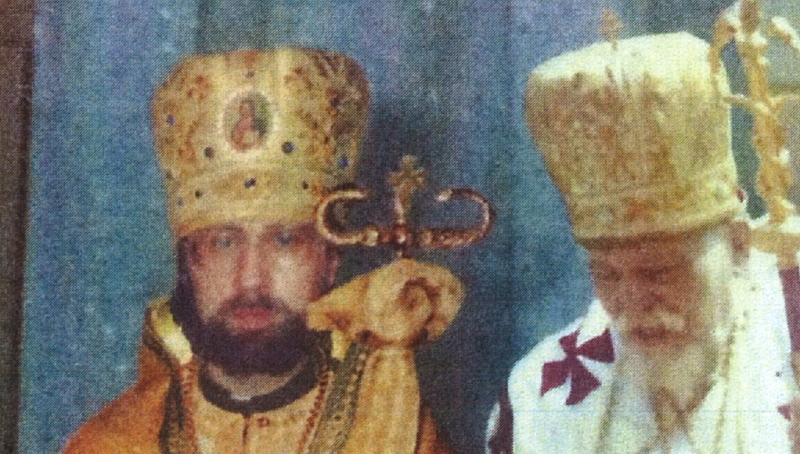 Here is the picture presented by Ambrose Moran as evidence of his episcopal consecration by Cardinal Slipyj. Even a child could spot that Ambrose Moran’s head is imposed on another person’s body. What a joke! This picture alone should have made the Kentucky Fathers run far away from Ambrose Moran. This is Annex 3 of Fr. Ortiz’s theological and canonical study on Ambrose Moran related to this matter.